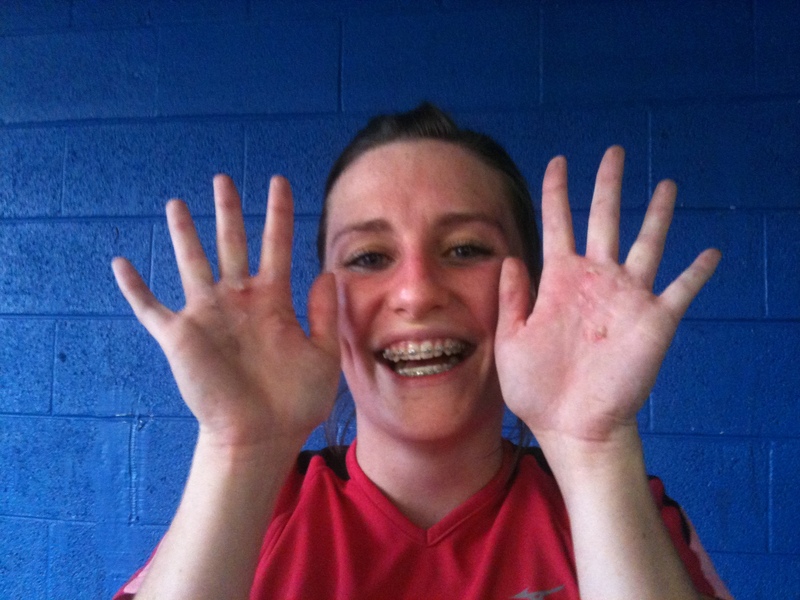 Torn hands, but all smiles! Wes is getting stronger and stronger by the week. Awesome stuff! 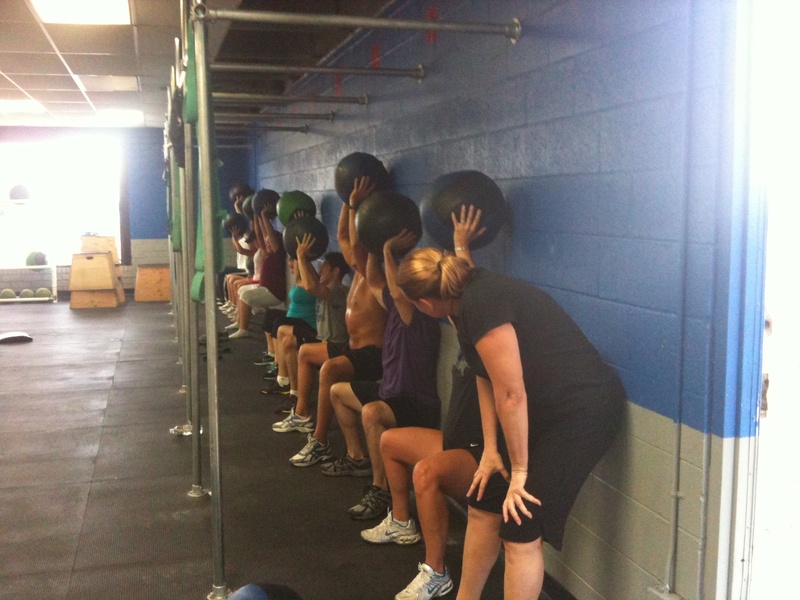 Overhead Med Ball Wall Sits! That's a lot of Wall-Sitters! Today was a pretty standard day at CrossFit Lakewood. Get here. Warm up. Lift heavy things. Work out. Recover. Leave. 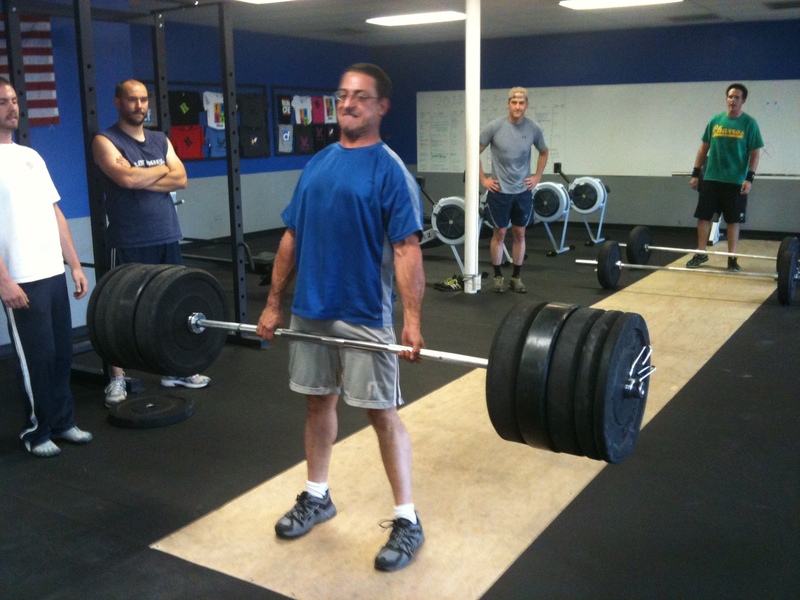 If in the process you happen to PR and pull more weight off of the ground than you ever have before, welllllllllll, that’s just icing on the cake! Oh that? It's just Alon pulling 365lbs!! For the workout, you had a basic pull/push couplet. That means for 5 rounds you would do 15 reps of a pull movement (deadlifts, in this case), immediately followed by 15 reps of a push movement (wall balls). I liked this workout, and from the looks of it, a lot of you did, too! Double-workout Thursdays are AWESOME! The first one was all-out 50m sprints. Ten of them! 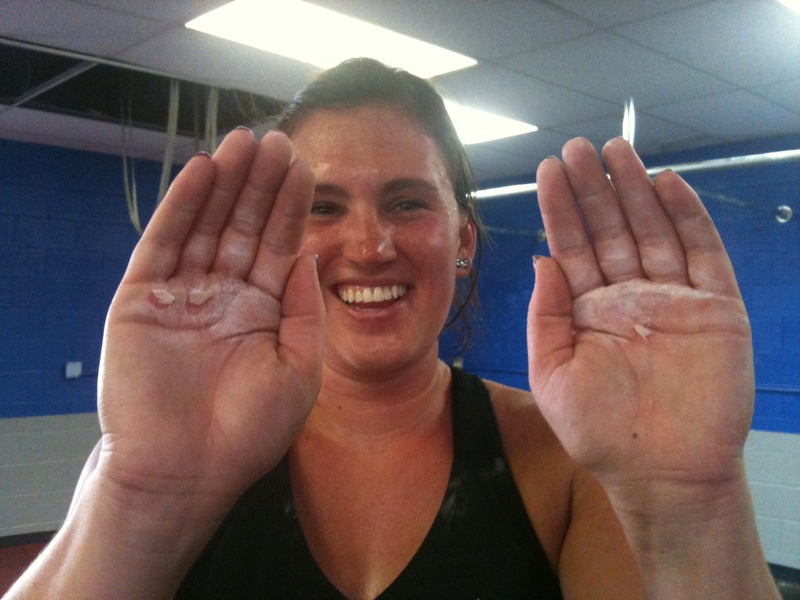 Then the second workout was what Orion likes to call “A GRIP BUSTER! !” Toes-to-bar and Kettlebell swings. Form on all of these movements is improving so much across the board. Well done, team!